MP Scholarships – Run by the Government of Madhya Pradesh, MP scholarships are an initiative to provide financial assistance to students who reside in the “Heart of the Country” that is Madhya Pradesh. The government has introduced its own state scholarship portal to enlist all its scholarships schemes available for the students belonging to Scheduled Caste (SC), Scheduled Tribes (ST), Other Backward Classes (OBC) and Minorities. The key objective behind introducing these MP scholarships is to promote education within the state. This article covers every significant detail about MP scholarships including their eligibility, application process, financial benefits and more. With these scholarship schemes in hand, you can find ways to accomplish your dream career. 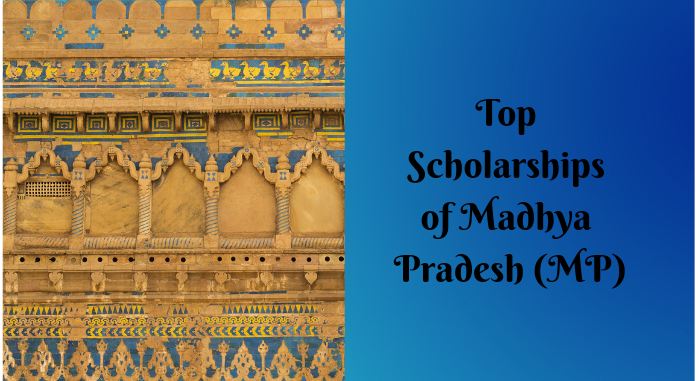 Which are the key scholarships run by the government of Madhya Pradesh? When can you apply for them? Who offers these scholarships? Find the answer to all your questions in this section. Here is a compilation of all MP scholarships available along with their provider details and application period details. You can apply for the scholarships within the time duration specified through the state scholarship portal. Are you eager to find out whether you are eligible for MP scholarships or not? If yes, then this section covers all the details regarding the eligibility criteria of each scholarship. One of the major eligibility conditions that apply to all the scholarships is that they all are applicable for students who are domicile of Madhya Pradesh. Besides this, there are several other conditions as well that you need to fulfil. The table given below covers the detailed information about the same. The students who have passed their class 12th with 75% or above marks (from Secondary Education Board of Madhya Pradesh) or 85% or above marks (from CBSE/ICSE board). The annual income of the family should not be more than INR 6 Lakh from all sources. The students should be enrolled in an undergraduate level of course at a recognised institution or university. The engineering aspirants are expected to have qualified JEE Mains examination with rank less than 50,000. The medical aspirants are expected to have taken admission to a government/private medical or dental college through NEET merit. The law aspirants are expected to have qualified CLAT examination and obtained admission to an NLU. This scholarship is open for the wards of people who are regarded as the unorganised workman by the Labour Department of Madhya Pradesh. The students must have taken admission to an undergraduate, postgraduate, polytechnic, diploma or ITI programme. The engineering aspirants are expected to have qualified JEE Mains examination with the rank below 1,50,000. The medical aspirants are expected to have taken admission in MBBS course through JIPMER, AIIMS entrance examination. The law aspirants are expected to have taken admission at NLUs by qualifying the CLAT examination. The scholarship is also applicable for students who have secured admission at government colleges in any undergraduate or integrated postgraduate programme or dual degree programme. The students belonging to Other Backward Classes (OBC) who are studying at post-secondary level can apply for the scholarship. The annual income of the family should be less than INR 75,000 (for 100% scholarship). The annual income of the family should be up to INR 1,00,000 (for 50% scholarship). The students belonging to SC category who are studying at post-secondary level can apply for the scholarship. The students belonging to ST category who are studying at post-secondary level can apply for the scholarship. The annual income of the family should be less than INR 2,50,000 (for 100% scholarship). The annual income of the family should be between INR 2,50,000 and INR 6,00,000 (for 50% scholarship). The students who have completed their class 5th, 8th, or 10th examination can apply. The percentage of marks scored by them in the final examination should be 60% and above. Now when you are aware of all the eligibility conditions that you need to fulfil to apply for MP scholarships, you must be willing to know their application process? What is the application method that you need to adopt for these scholarships? Whether the scholarship application is available online or offline? You can find the answer to all these questions in this section. The table given below combines the details of how can you apply for each scholarship. What is the amount of scholarship that you can receive through these MP scholarships? This is one of the most common questions that occur in the mind of almost every student. While most of the MP scholarships offer financial assistance in the form of tuition fee waiver or cover the course fee, there are some scholarships that also offer cash awards to students through direct benefit transfer. Find out what each scholarship has for you to offer in the table given below. It contains precise details about the award rendered by these scholarships. This list does not end here. You can also explore in-depth detail about all MP scholarships separately with Buddy4Study. Find out more about what holds for you at the state level, national level and international level by registering with Buddy4Study today.